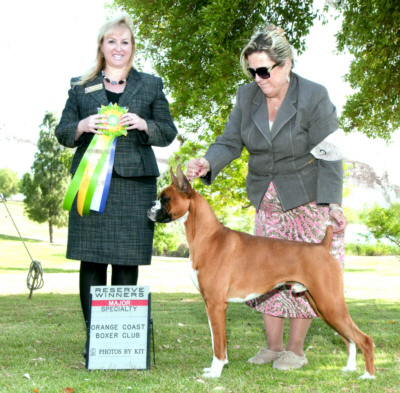 last April 2011 under respected breeder judges from the 9-12 puppy classes. 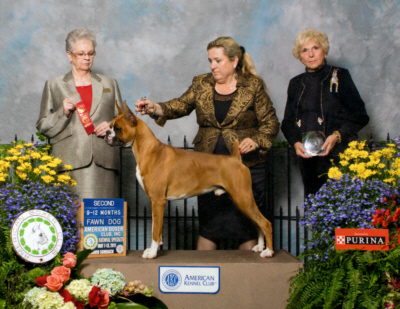 Bravo won 2nd in his class at ABC, 2011.
he takes a 5 point major. January 2012 to be shown by Cheryl Cates!